Get premium marijuana delivered to your Coto De Caza, CA location. Find out why Bud Man OC is tops for cannabis delivery service in Coto De Caza and Orange County. Cannabis delivery service for Coto De Caza as well as nearby neighborhoods. The Bud Man Coto De Caza delivery team is famous for their professionalism, expertise, and discretion. 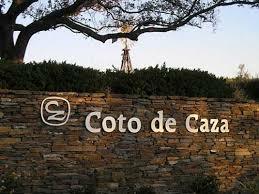 Tell us where in meet you in Coto De Caza, and we'll be there soon with the weed you need. Select from a wide range of premium marijuana products from the convenience of home or work. We delivery cannabis flower, a wide variety of edibles as well as vaping cartridges and THC concentrates like wax and shatter . At Bud Man OC, we carry an assortment of premium products and top-shelf strains. We take pride in having the highest level of customer service in the cannabis industry and are dedicated to ensuring each of our 420 clients is enjoying the marijuana products they prefer to enjoy. We'll take your order online 24/7. Phone orders can be made all day between 10am to 10pm. Our 420 delivery specialists begin visits at 10am in morning and don't stop until 10pm at night – 365 days a year. We specialize in keeping weed deliveries professional and discreet. We can meet you anywhere in Coto De Caza. Maybe you're out for a hike in Thomas F. Riley Wilderness Park. Call Bud Man Coto de Caza, and we'll meet you there. You never know when the urge to enjoy cannabis will strike. Get potent and delicious weed delivered quick and easy in Coto De Caza! We deliver premium quality marijuana products to weed lovers in the seaside town of Coto De Caza, California and adjacent towns. We regularly deliver to 420 customers in these municipalities: Costa Mesa, Santa Ana, Aliso Viejo, Dana Point, Capistrano Beach, Irvine, Ladera Ranch, Foothill Ranch, Laguna Hills, Newport Beach, Rancho Santa Margarita, San Clemente, San Juan Capistrano, Tustin, Huntington Beach, Anaheim, Mission Viejo – or any location in Orange County.